Save $375 with installation. $275 immediate discount at the time of purchase + $100 manufacturer mail-in/online rebate! TriStar VS 950 variable-speed pump is the newest addition to the family of the most energy-efficient variable-speed in-ground residential pumps on the market, according to EPA ENERGY STAR third-party testing data. This pool pump has been upgraded with a chemical-resistant Viton seal and a 4-year warranty. 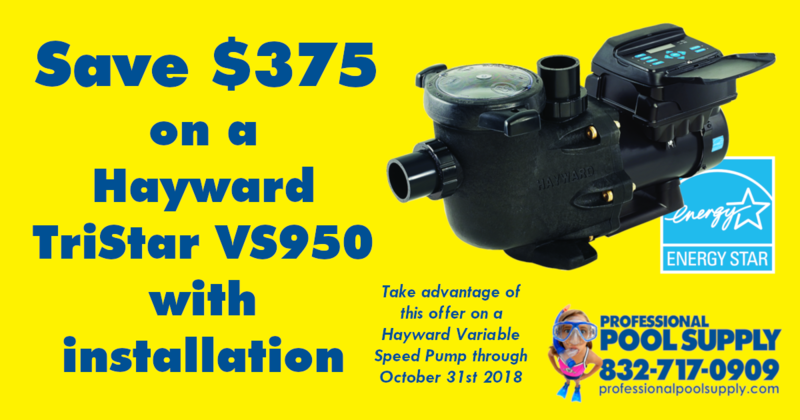 And like all TriStar VS pumps, TriStar VS 950 can save up to 90% on energy costs, an average of $1500 per year, compared with traditional single-speed units.